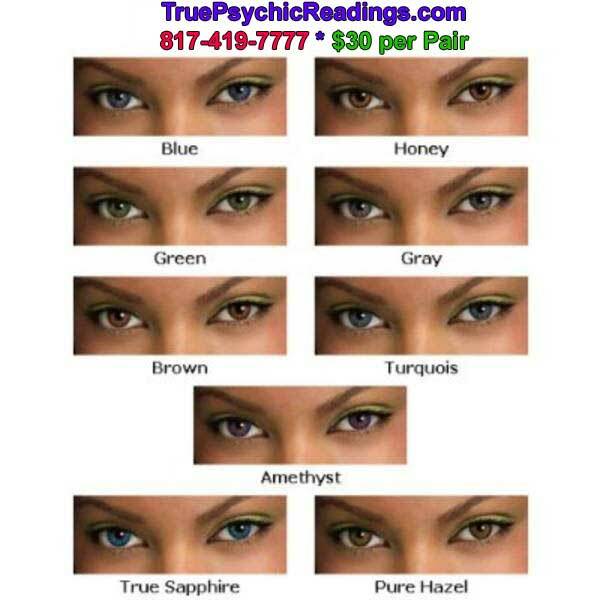 These Eye Contact's are STANDARD shape and size and DO NOT REQUIRE a prescription. NONE OF OUR CONTACTS Blur or Alter your Vision in ANYWAY. They are completely safe and comfortable to wear. They are CLEAR and 100% SEE THRU, which means you can still See, Read, Drive and even operate heavy machinery while wearing them. PERFECTLY SAFE AND BEAUTIFUL! 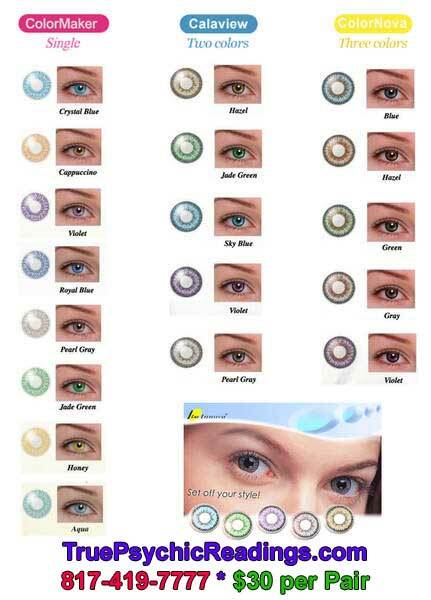 Change the color of your eye's in style, comfort! All without a costly expensive visit to the eye doctor or pharmacist. JUST BUY THE COLOR OR STYLE YOU LIKE AND PUT THEM IN. They are 1 size fit's all, Self adjusting and very comfortable to wear. 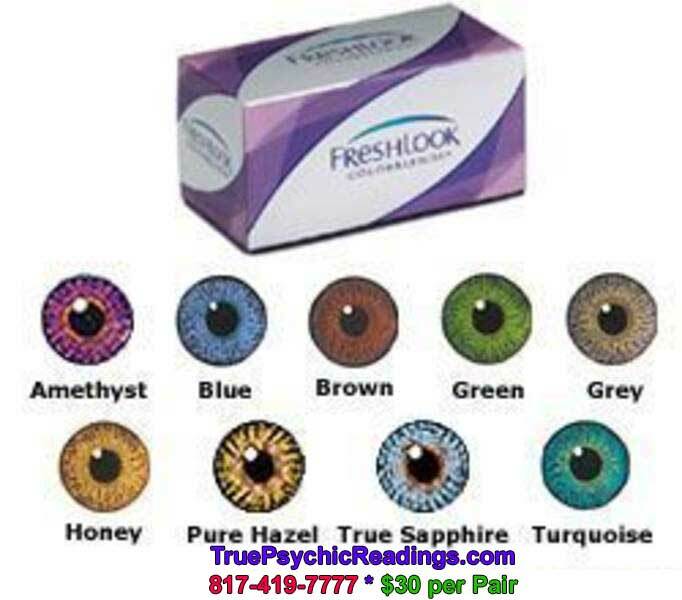 Standard color contacts below are priced at only $30 per pair (2 lenses). 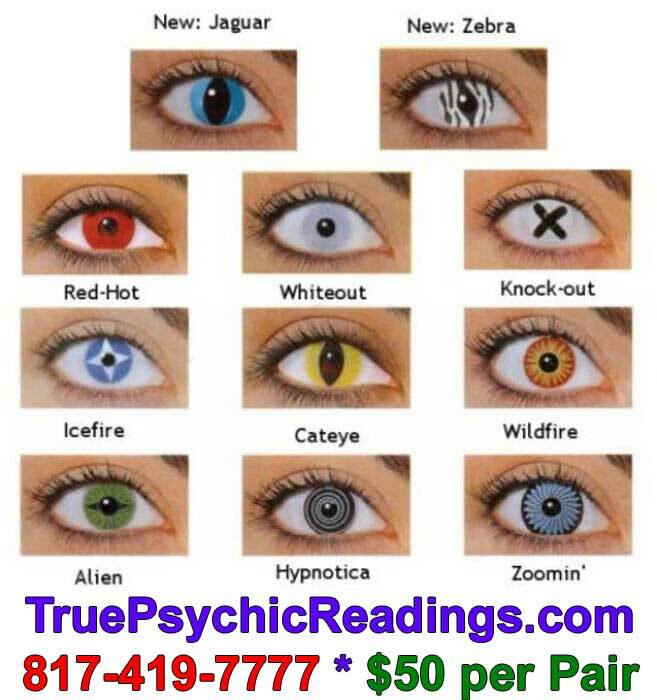 These will change the color of your eye to whatever color you choose. They look amazing! 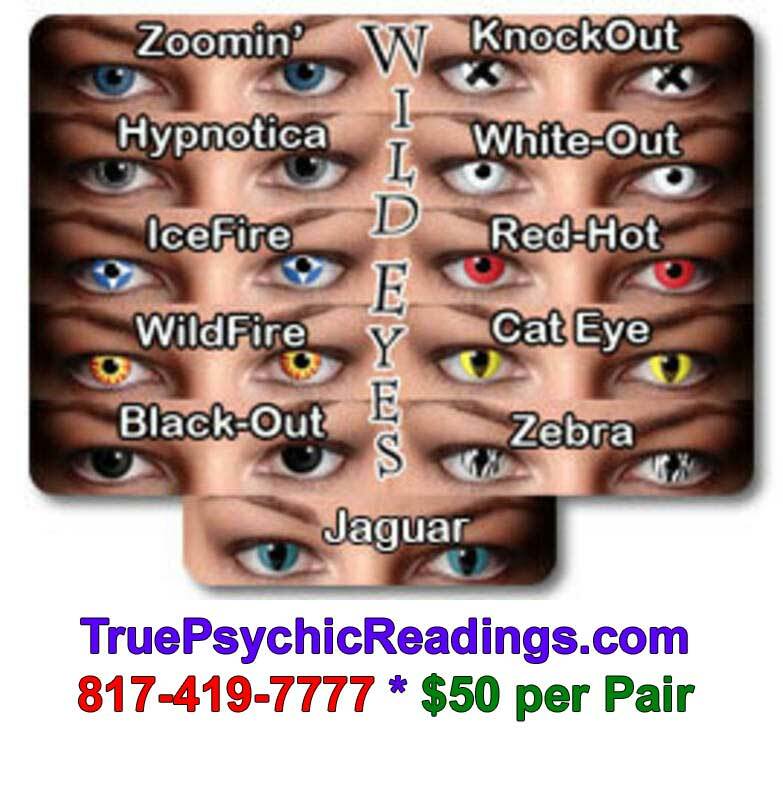 Are remember, these are perfectly clear and do not alter your vision in anyway what-so-ever. *NOTE: While we prefer local sale's, we will also ship these to you if you are unable to come in to the store. Payment would have to be made via PAYPAL only, and we would ship ONLY to verfied paypal addresses. 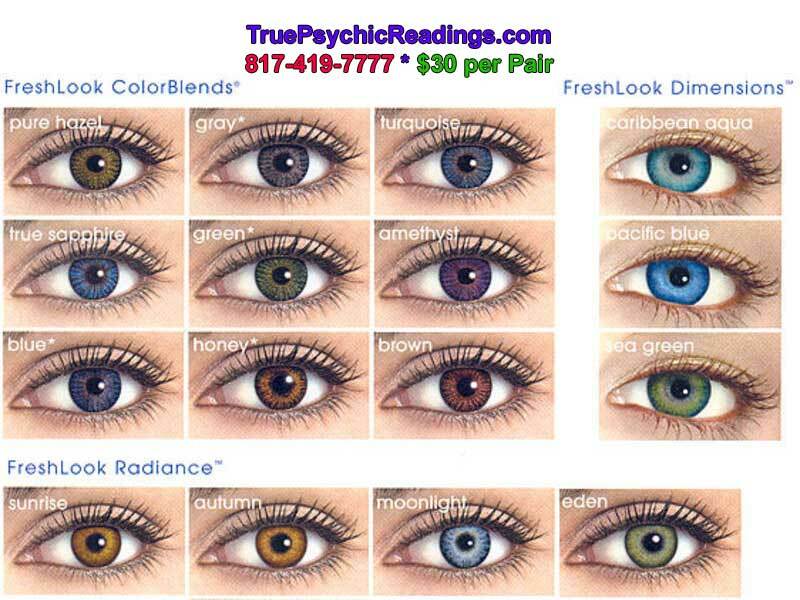 Shipping, Handling, Processing and Paypal fee's would be +$15 PER PAIR of contacts. Call for more details. 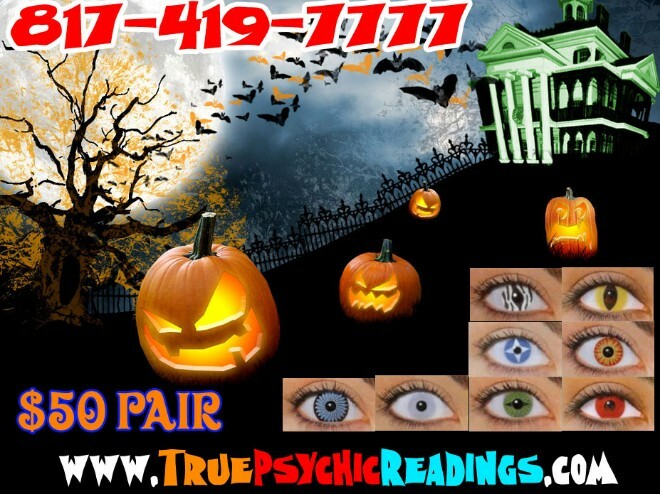 Halloween and Theatrical style's below are priced at $50 per pair (2 Lenses). We usually have stock of these items all year round, so call for more details and availability. 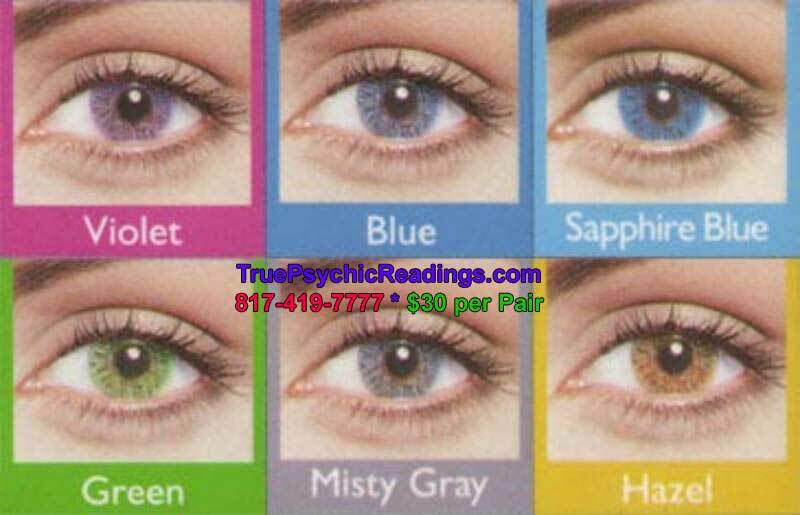 *NOTE: CALL TO VERIFY STOCK AND AVAILABILITY OF ANY PARTICULAR STYLE OR COLOR.